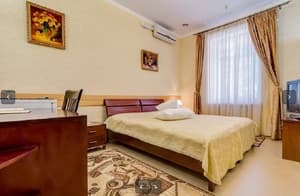 Hotel "Diana" is located near the center of Dnepropetrovsk. 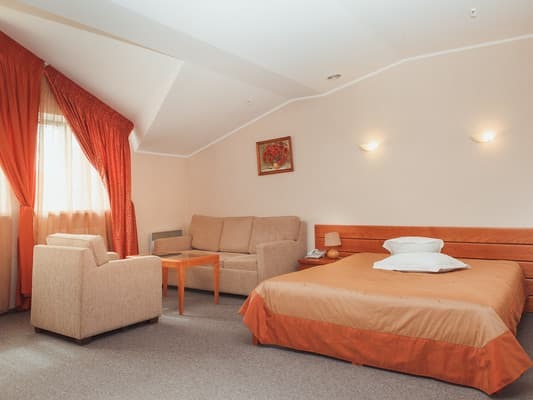 The hotel's on-line room consists of 10 rooms of the category "comfort", "junior suite", "suite". Each room has a telephone, a minibar, an Internet (with a personal laptop), a refrigerator, a flat-screen TV, and an equipped bathroom. The hotel has a cafeteria. Description of the room: One room consists of an entrance hall, a bathroom and a living room. 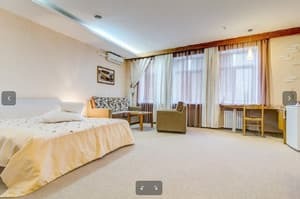 The room is equipped with a double bed or two single beds. 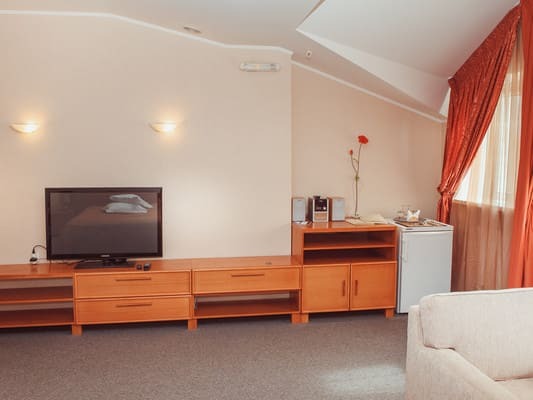 Description of the room: The two-room suite consists of a living room and a bedroom. Комфортная обстановка и ненавязчивый сервис. The hotel has a cafeteria. Breakfast can be ordered for an additional fee. 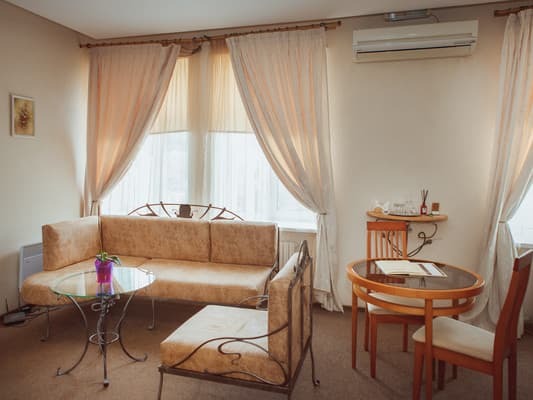 Hotel "Diana" is located near the center of Dnepropetrovsk. Distance from the hotel "Diana" to the railway station - 7.4 km, to the airport - 5.6 km.